Microsoft left a lot of unanswered questions after following Apple into the tablet hardware business Monday with its new Windows 8-based Surface PCs/tablets. The software maker introduced the new family of devices during an event in Los Angeles. Microsoft said the new Surface tablets are meant as companion hardware for Windows 8--the most dramatic overhaul of the OS since Windows 95. 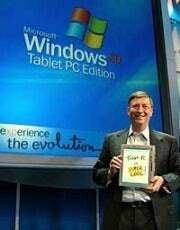 Company CEO Steve Ballmer said: "We wanted to give Windows 8 its own companion hardware innovation." Windows 8 is expected to be available in the fall. The Surface brand was originally used for a tabletop touchscreen computer Microsoft launched in 2007. Looking at the spec sheet, the new devices sound promising and early impressions are generally positive. The new tablets will come with a 10.6-inch display, a kickstand for tabletop viewing, and a super-thin keyboard case that attaches to the device with magnets. Surface will come in two flavors: Surface with Windows RT and Surface Pro with Windows 8 Pro. Windows RT is the version of Windows 8 designed for ARM processors; it includes the new touch-friendly Metro-style interface, as well as a limited version of the traditional Windows desktop for running Internet Explorer and Microsoft Office. Surface tablets with Windows RT will include a micros slot, USB 2.0, and a Micro HD port. The devices will weigh about 1.5 pounds and be about 0.36-inches thick. Microsoft did not say which processor the Windows RT device would have, but did say the tablets will come with your choice of 32GB or 64GB of storage. The Surface Pro tablets will be Intel-based with access to the Metro UI as well as to the fully functional Windows desktop and will come in 64GB and 128GB versions. The tablet will have a microSDXC card slot, USB 3.0, and Mini Display Port. The Surface Pro will weigh just under two pounds and be about half-an-inch thick. That's what we do know about Surface, but there are also a few interesting questions left to answer. Microsoft was short on details when it came to pricing the new Surface tablets. The company said the Windows RT version of Surface would cost about the same as comparable slates. Surface Pro, meanwhile, would be priced similar to comparable competitive Ultrabook PCs. Let's assume that comparable tablets for the Windows RT version mean the market leader, Apple's iPad. So the entry-level Surface models should cost about $600 for the 32GB version and $700 for the 64GB model. How much Surface Pro devices will cost is another issue entirely since Microsoft wants to compete with Ultrabook PCs. 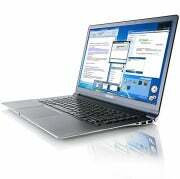 When Intel introduced the new class of portable laptops in spring 2011, they were supposed to be priced under $1,000. But that dream is only now becoming a reality with second-generation Ultrabooks. Devices like the Lenovo U310 and 410 are priced at $750 and $800 respectively, Vizio just released a line of Ultrabooks that start at $900, and the base model for Sony's new Vaio T13 costs $800. Will the Surface Pro be priced under $1,000 as well, or will Microsoft reach for a higher cost similar to the Samsung Series 9 ($1,400-$1,500) or the Asus Zenbook Prime UX31A ($1,100)? The Windows RT version of Surface is due to come out during the general release of Windows 8, which is expected in the fall, around October. The Surface Pro is scheduled for release about three months later, meaning in early 2013. Microsoft did not offer any specifics beyond these general time lines. Will Microsoft Ever Give Up on the Digital Pen? Microsoft couldn't resist giving a nod to its legacy tablets (convertible notebooks) by including digital pen functionality with the Surface Pro. But haven't consumers already spoken and said, "Thanks, but no thanks" to digital pen input technology by adopting the finger-driven iPad in droves? Microsoft didn't say whether the new Surface devices would include mobile data. Perhaps the company didn't want to discuss that issue while it works on developing carrier partnerships for its new tablets. Wi-Fi only devices are great, but many people--especially those looking at the Surface Pro for work--will want the option of a higher-priced device that comes with 3G/4G connectivity. Will the Surface Fulfill the Promise of Apple's iPad? When technology critics speculate about the future of the iPad, many wonder if it could one day replace the home PC for many users. In some ways it has already done that for users who just want a computer that can do casual Web browsing, e-mail, social networking, and video streaming. There are also some professionals using the iPad instead of a laptop at work, including programmers, journalists, and small business owners. But while the iPad is becoming a popular choice for the road, many people are still holding on to their laptops. That could change with Surface and similar devices since they offer a familiarity the iPad doesn't necessarily have. This is especially true with the Surface Pro: It's a full Windows PC that is still a relatively sleek tablet with a slim travel keyboard designed with touch typists in mind. That means you can take all the programs you use right now and stick them on something the size of a tablet. Even the entry-level version of Surface running Windows RT offers the more familiar desktop interface (albeit with limited functionality) for people who want a basic desktop. Based on what Microsoft has said, however, the one thing Surface may be missing is the consumer-friendly entry-level price point of $500. That appears to be the magic number for people to buy iPads, and tablets that have been initially priced above that have failed to gain much traction: i.e., RIM's BlackBerry PlayBook and the HTC Jetstream. Perhaps Microsoft will still meet the $500 price with the 32GB version as does the Asus Eee Pad Transformer Prime TF201, but we won't know for sure until Windows RT Surface tablets hit store shelves. Microsoft is off to a good start with Surface, but we'll have to wait a few months yet to find out if the company's promises will meet consumer expectations.